FABULOUS LOCATION! TRANQUIL VIEWS! This McKeon Condo is an upper level Penthouse Model with an open floor-plan & peaceful, park views! A 2 bedroom, 1 bath, with a one-car, shared garage & laundry access. The spacious kitchen has plenty of room for storage, newer appliances, cabinets & Corian countertops & access to a private balcony, great for BBQ's! The bright bathroom boasts a Corian counter & updated lighting features. The master bedroom has a walk-in-closet with access to a finished attic, which could be used for extra storage. Additional features include scraped ceilings, dual pane windows, plantation shutters, wood laminate flooring & an art-suspension system set up throughout the home. Low $320/mo. HOA fees cover water, sewer, ext. maintenance, landscaping, homeowners insurance & use of two community pools! Easy walkability to shopping, restaurants, coffee houses & public parks! 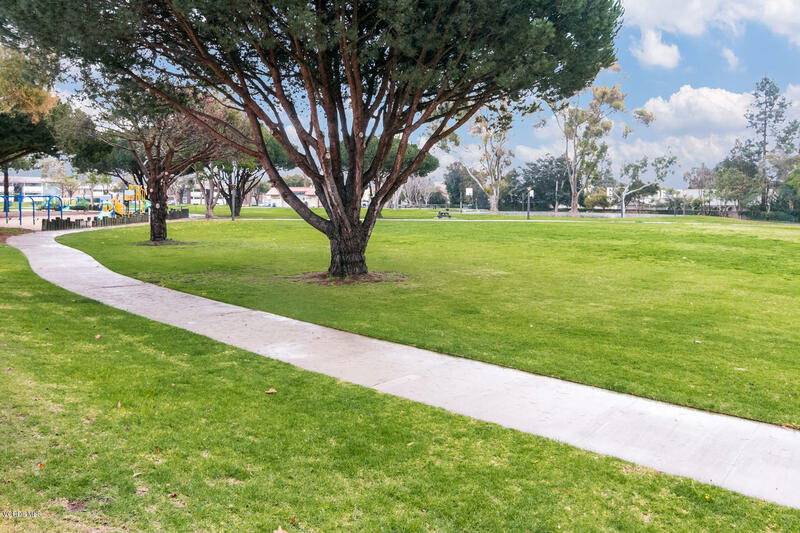 This move-in ready condo is conveniently located near freeway access, Ventura County Government Center, medical facilities, community colleges & 5+/- miles from the beach! Don't miss out on this perfect opportunity! Try 3% down conventional loan w/ CalHFA for little to no down-payment finaancing & monthly payment similar to rent! C-21 EVEREST, BLAKE MASHBURN, 805-368-0202.